Home › News › Looking for the softest shoe out there? Looking for the softest shoe out there? Are you one of the many people who enjoy a plush, marshmallow-like feel under your foot when you wear shoes? We've heard certain customers mention wanting "a big ole mattress for (my) feet" when trying to accurately explain their hopes in a comfortable pair of running or walking shoes. Although most every style of shoe we carry in-store will provide a more unique and dialed-in fit than a "big ole mattress", here for your reading pleasure, in no particular order, are five of the softest pieces of footwear on our shelves (and in the marketplace)! 1. Asics Gel-Nimbus 19 $160: This January update now boasts a unique combination of the brand's classic Gel cushioning and Asics' cutting-edge FlyteFoam, producing what we are referring to as a ridiculous out-of-box step-in feel. The Nimbus 18 has met its match in the better looking, way cooler, totally smarter and definitely faster younger sister. Sorry. 2. Saucony Triumph Iso 3 $150: The Triumph is, in our opinion, one of the lightest-feeling max cushion shoes in the store. It also has an 8mm heel-to-toe drop, which is another unique feature separating this style from the pack. A "better" fitting forefoot than many would ascribe to its predecessor, the Triumph ISO 3 is how any good update should go; small but significant (read ﻿meaningful ﻿) tweaks made based on consumer feedback while otherwise staying in one's own lane. Nailed it. 3. 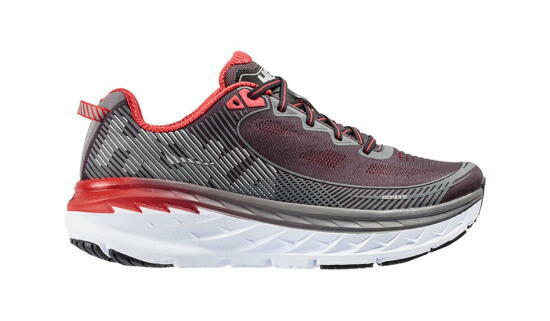 Hoka Bondi 5 ﻿$150: Listen up, cushion connoisseurs. HOKA is here to stay. This once "niche" brand has combined a low heel drop with maximum amounts of shockingly lightweight cushioning to carve out a significant place for itself in the running footwear market. Specifically, the Bondi 5 has a load of mass underfoot but uses an incredibly well executed upper to create an experience unlike any other. The fifth iteration of this now tried-and-true model boasts its most accommodating fit to-date (can I get an 'AMEN'?!). 4. Nike Zoom Vomero 12 ﻿$140: "Give the people what they waaaaant!". With the most recent iteration of this classic trainer, Nike has finally applied their patented Zoom Air technology to a soft bed of Lunarlon foam. Responsive and soft with a downright dashingly beautiful engineered upper. 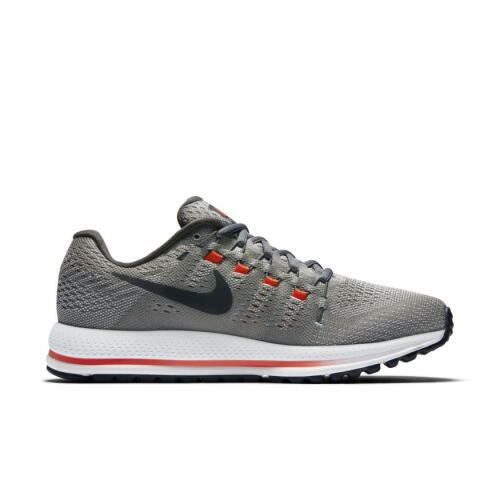 If you've caught yourself casually referring to Nike as a brand that doesn't make good or ﻿"real runner"﻿ running shoes, come try these on and become the latest convert! 5. Oofos Slide ﻿$45: Alright; so, even though you won't be logging long miles in these beauties, we still think this is one of the softest under-foot experiences we offer in the shop. This slide provides a unique shape and unrivaled softness that your shopping-mall-department-store-five-dollar-flip-flops simply can't match. Meant to be worn as a recovery piece, or, really, as an everything piece, kiss your foot pain goodbye when you slide into one of the many styles (color, shape, slide, thong, etc.) that we offer from Oofos.